Here, a Mickey, there, a Mini and then there’s Pluto! 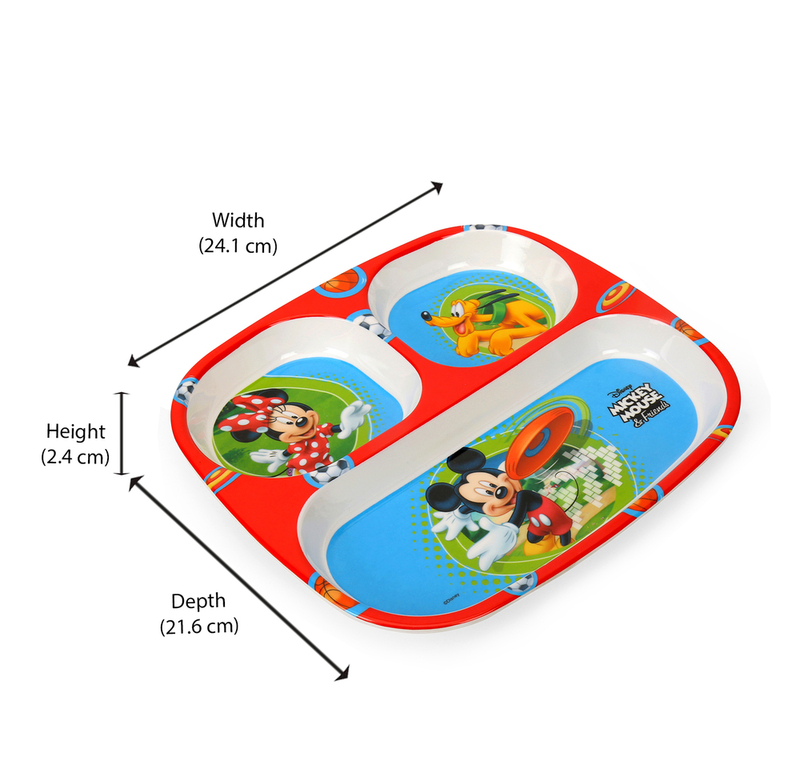 The Mickey plate will make sure your kid’s meal times are fun and frolic. With three separate sections for different kinds of food, you can make sure your child eats a wholesome meal. The melamine plate is compact and useful. When it’s birthday time, bring a load of these and wrap one or two together to make them into return gifts for the party. Easy and fun!